My friend, Jennifer, is very excited about a new discovery she just made and wanted to share it with you. I hear the angels in the background. I am wanting to belt out the chorus of Handel’s Hallelujah…..I am…..complete. Every year I lose close to 30-50 books because my students find some way to sneak them out and never return them. I beg for their return, but don’t make too big of a deal for them because my hope is that they are still being read when they go home. But now…..NOW, I have found a solution! BookSource’s Classroom Organizer. Using an app on your phone, you scan ISBN numbers to put books into your classroom library. You input your students names. Then, they can use the computer to type in the ISBN number or key words of the book’s title and check them out. There is also a way to return the books. 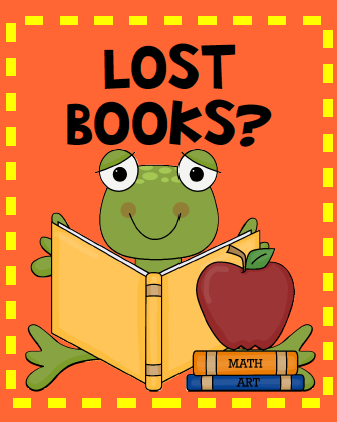 Problem Solved: I know how to attach lost books with a face!!! You have GOT to go look at this. I have used my own kids as guinea pigs and it works!!! I could just dance a jig!!! I am linking up with Fern @ Fern Smith’s Classroom Ideas. Click on the picture below to find more tech tips. I have this on my ipad and if it worked I would LOVE it. I find that a lot of books are not found in their system. If I am doing something wrong let me know cause I would love for this to work! I signed up but haven't tried it yet. I'm hoping it works. It would make sending home books sooo much easier! First, thanks to Michelle and Jen for such an informative post about Booksource's Classroom Organizer. We are so happy that you've found the system and love to hear feedback from our users. I noticed that in the comments there were a few questions regarding app functionality. I wanted to reach out to, hopefully, address those queries. The Classroom Organizer app is optimized for use with an iPhone or Android device. While the app is also available for the iPad2 (and above), as well as the iPod touch, the camera on both of these devices is not as consistent as the iPhone device, in regards to auto focusing. This can make it difficult to scan ISBNs on your books. Additionally, when you scan your ISBN, our database pulls from over 15 million ISBNs to ensure that we have a high recognition rate. Inevitably, there will be some holes in data, but we are working hard to lessen that opening everyday. If you have any additional questions or feedback, please don't hesitate to email us at classroomorg@booksource.com or call 800-444-0435. I am pretty sure it will work with an iPod. That is what my husband has, so, if I get a chance, I will try it out! Thanks for saying hi Ms./Mr. Booksource!! Thanks for answering questions! I spent all summer putting in my books by hand typing them in. I had to look up the points, the reading level, and match it with a picture. It's pretty sad that I haven't implemented this in my classroom. I worked sooo hard on it but got discouraged when I went into my room and there were hundreds of more books left by the previous teachers so it would be worthless until I added all the other books, lol.